Wells Cargo > News > Airfreight > Drewry: Is LNG the Fuel of the Future?? With less than two years before the sulphur cap comes into force, LNG is looking more plausible as the marine fuel of the 21st century, according to shipping consultancy Drewry. Many shipowners are still weighing up the dilemma of how to comply with the stringent new rules on sulphur emissions, due to come into force in January 2020. The options have been widely publicised: scrap older tonnage, fit sulphur scrubbers, switch to low-sulphur marine gasoil (LSMGO) or install power plants capable of burning LNG. Scrubbers are increasingly seen as a messy answer. A scrubbing system will cost roughly USD 4 million to install, and users will still be faced with the problem of waste disposal. Owners will also feel vulnerable to later changes in regulations that might make their scrubbers non-compliant. Unlike the other two options, scrubbers will not reduce emissions of greenhouse gases, and this is an area that is likely to come under increasing regulatory scrutiny. A survey of owners by Drewry suggests that they see scrubbers as only a short-term solution. LSMGO is less problematic on those criteria and is likely to be a popular alternative in the early years, especially as an IMO-appointed consultant has reported that fears of a possible shortage have been exaggerated. But even if the IMO is right, Drewry believes that about a million barrels a day will be needed, so operators will have to pay a premium in the early years. The maritime industry used to be hostile to environmental pressure, but going green is increasingly being seen less as a burden and more as an opportunity, not just ethically but also commercially, according to Drewry. 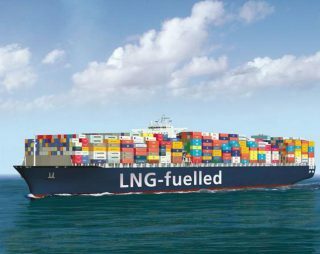 Major owners are now talking about the possibility of a carbon-neutral maritime industry, and that makes LNG even more attractive – aside from the fact that it will be cheaper than LSMGO. Not many ships trading today can burn LNG – mostly cruise ships, passenger carriers and LNG tankers using boil-off gas for their auxiliary engines. Large container ships are next in line, while the technology is even making inroads into the bulk-carrier and tanker markets. Of the 93 LNG-capable vessels on order, eight are dry bulk carriers. For the existing fleet, retrofitting is a risky option. Retrofitting a dry bulk carrier would cost about USD 6 million, which is a considerable gamble for owners operating in such a volatile market. Even retrofitting LNG engines in small dry bulk and tankers is not possible due to space constraint. It will not be economical for vessels over 15 years old, and retrofits do not work well for tankers. So far, four 2011-built container vessels have gone for retrofitting. At the moment, LNG bunkering is only possible in North America, North Europe and Northeast Asia, with facilities available in 60 ports. New sites are being prepared in Singapore, the Middle East, the Caribbean and Europe, and still more are being considered. The orders for LNG bunkering vessels are also picking up as they provide a flexible and cheaper option of providing fuel to LNG fuelled vessels. Drewry said that the next big question is whether shipowners will order enough vessels, and whether there will be enough LNG to cope with demand if they do. Adding the confirmed new LNG projects to the current capacity in the market, Drewry believes that annual supply will be about 72 million tonnes by 2022. Demand is lagging behind that figure, but the high case will add an extra 10 million tonnes demand in 2022, and even the 10% base case will push demand beyond expected supply.